I was shopping at Target and noticed a baby scale for sale for people who are unwilling or unable to do subtraction (see image below). The scale works by first weighing a person holding the baby, then weighs the person without the baby, and performs subtraction to yield the weight of the baby. Most digital scales these days are accurate enough to give a good estimate of a baby’s weight using the 2-weigh method for people who can do subtraction. The need for such a scale reflects poorly on the state of math in the US. I posted this to twitter [here is the thread], where it was warmly greeted, so I decided to add it to the blog to give it a more permanent location. On the upside ,the scale was on clearance for $11.98, down from $39.99. The shelf at Target was full of these scales. Perhaps new mothers are not too tired to do subtraction after all. Baby scale for those who are unable or unwilling to do subtraction. 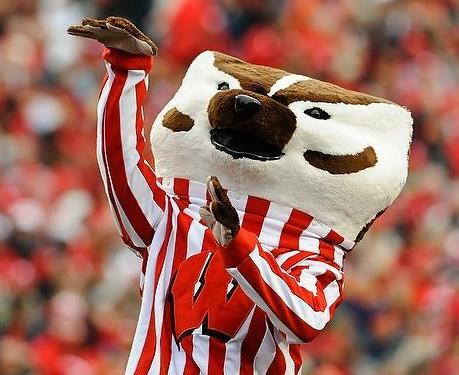 This entry was posted on Wednesday, May 29th, 2013 at 1:31 pm	and posted in Uncategorized. You can follow any responses to this entry through the RSS 2.0 feed. We have similar problems in the UK. Cashiers who need a calculator to decide how much change to give you. Even, in one case in my experience, a cashier who needed a calculator to work out how much ten identical items would cost. Many in the generation that has grown up with calculators do not have a rough idea what the answer to a sum should be, and automatically assume that they have entered the numbers correctly, and therefore the answer must be right. 1) Maybe this doesn’t display mother’s weight at all: some may not want to see it. If I designed this scale that would be the #1 selling point in bold letters on the case. 2) For novelty gift-buyers or those who struggle to find a good baby shower gift. They might grab anything that seem unique that says “for your baby” on it. this is funny. couldn’t you just plop the baby on the scale by itself? or is the baby too amorphous? I *think* the issue is that regular bathroom scales aren’t very accurate at the low end of the weight scale. 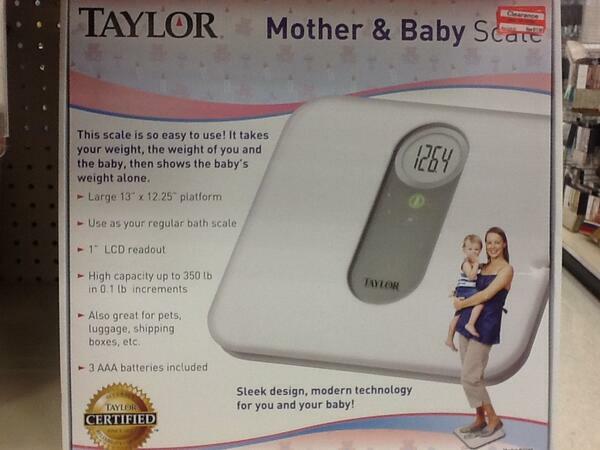 Scales that accurately and directly weigh babies are expensive and bulky. This is why people weight puppies and dogs with the subtraction method. I never tried to weigh babies at home, so I can’t really say.